A first for Rilakkuma! A new stop-motion anime series coming to Netflix! Often sweet, sometimes bitter, Rilakkuma & Kaoru (Mikako Tabe) spend 12 colorful months together. Streaming only on Netflix starting April 19th, 2019! Rilakkuma is a mysterious bear who turns up to live with Kaoru, a seemingly ordinary young woman, in this stop motion teaser. 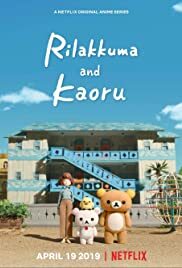 Besides Rilakkuma, Kaoru also lives Korilakkuma (a small white bear cub) and Kiiroitori (Kaoru’s pet bird), and they have adorable, surreal, and amazing adventures.